Raindrop Technique - Goddess T.O.U.C.H. (Distributor of Young Living Essential Oils – oils of the highest vibration and quality) This application is a non-invasive process which combines the art of aromatherapy with the techniques of pressure points and light massage, whereby essential oils are applied to various areas of the body, mainly the spine, to bring structural and electrical alignment. This application is a non-invasive process using essential oils to help correct defects in the curvature of the spine. Many misalignments are caused by viruses or bacteria that lie dormant along the spine, creating inflammation, and nerve damage. This technique is a revolutionary way to look at bringing balance and harmony to the body: physically, mentally, and emotionally, moving beyond the blood and brain barrier. 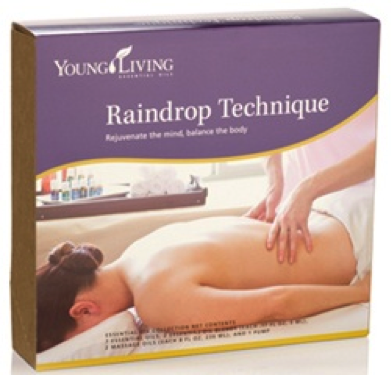 The oils used in my therapy are Young Living Oils, which I am also a distributor. Please read Article – Aromatherapy by Touch Research Institute, Nova Southeastern University (Florida). For more information about these powerful oils, please go to www.youngliving.com. Please contact me if you wish to become a distributor.